Last week was a fun filled short week. We learned about dental health and nutrition and exercise. How all of these things help us to be strong healthy people. 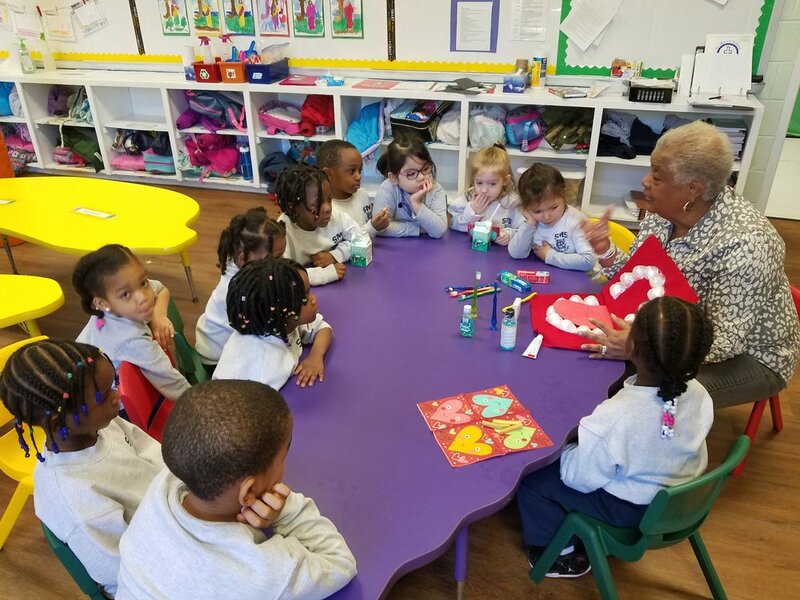 Thank you Ms. Grier for coming to our class and talking about good dental health. 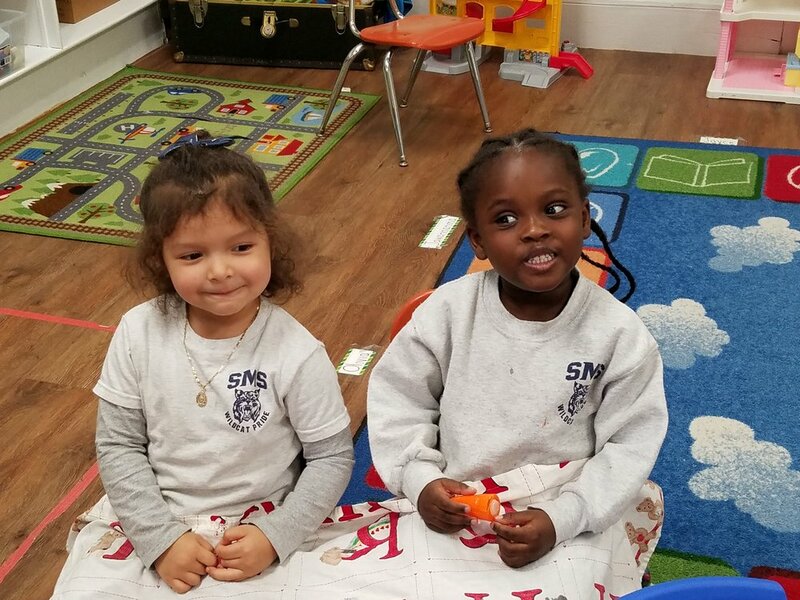 The children were engaged and loved having you visit. We made a real food pyramid and the children liked exploring all the foods. At lunch time they asked us if what they were eating was healthy or not healthy. They are learning all day long. 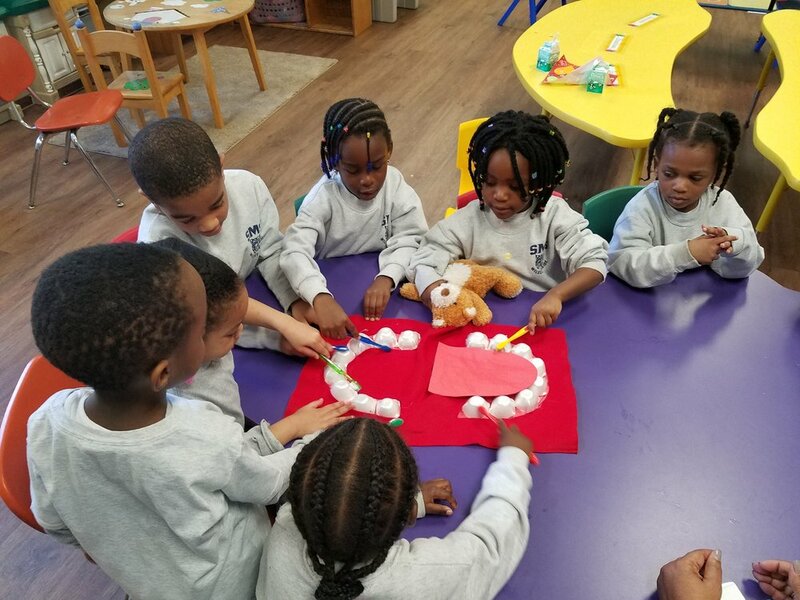 This week we will begin learning the letter N and continue learning about nursery rhymes. Nursery rhymes are so important for young children to learn. They teach children rhyming words, sequencing and much more. We will continue to talk about African American history. We will learn about the inventor of the band-aid, Earle Dickson. We all know how much our children love band-aids. Tomorrow we will give our presentation at prayer service on Mae Jemison. If you have time please stay for prayer service. The children love seeing you there. Going on a car trip!!! Golf tee fun. Nailing golf tees on cardboard. Counting one 10 ten.